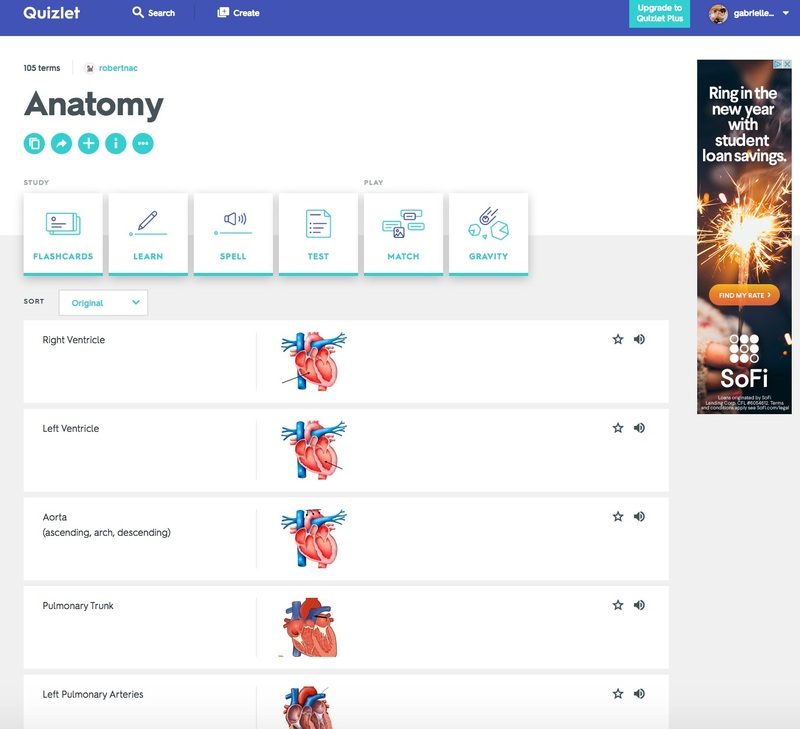 Quizlet is a digital learning tool that can be used by students, parents, and teachers. The site contains over 100 million sets of study materials created by other users that range in topics from Landmark Supreme Court Cases to Structures of the Heart and the entire site is available in English, Spanish, and German, however, Quizlet supports many international languages/keyboards for those wanting to input text from a wide array of languages. These study sets are free to use, or users can create their own, so the possibilities are limitless! 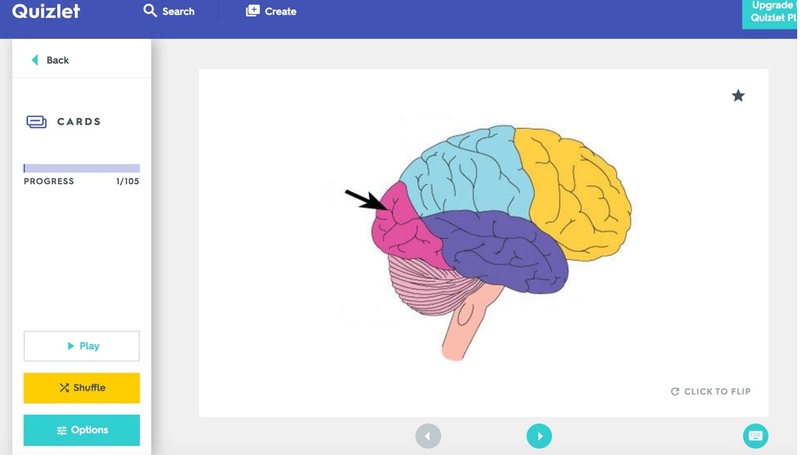 Quizlet takes information and converts it into flashcards, quizzes, and games, so that users can study the same information in a variety of forms. And users aren’t constrained to using just text – images and audio are easy to include in study materials. Best of all – study materials can be shared with students, classmates, parents, and teachers. There are more than 40 million visits to Quizlet every single month, and Quizlet is currently ranked among the top 50 U.S. websites. 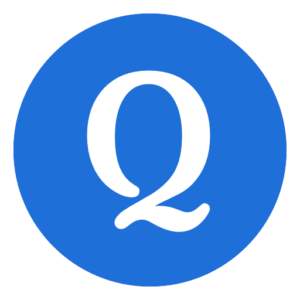 Quizlet users begin by either searching for publicly-shared study sets or creating their own. Users choose which of their sets are public. To create a new study set, user’s input study information in the form of terms and definitions (which can include images, if, for example, you are studying anatomy or audio if you are studying for a spanish class). Quizlet then converts that information into six different study modes in a user-friendly and intuitive format, making it useful for any type of learner, from visual to auditory to reading/writing and even kinesthetic learners. Quizlet modes include timed games, which are great for getting those competitive-natured students in your classroom actively involved in their learning, instead of passively trying to memorize a list of vocabulary. Finally, students (and parents and teachers) can track their progress to determine what material needs to be focused on to achieve mastery. Substitution: Students create flashcards through Quizlet instead of on index cards. Augmentation: Students link an image or GIF to each flashcard as a memory hook. Modification: Students can add multimedia to all stages of their project, set deadlines for themselves and others, and track all group members progress in real-time and remotely. Teachers can also track progress and set deadlines to help avoid procrastination. Redefinition: Both students and teachers can see the activity in each card to follow who in the group contributed in what ways and at what times. Students can critically analyze this log of activity at the end to determine what could have improved their process or made their process more efficient. Math: Have each student create a study set containing problems or equations as the terms and answers as the definition. Then, have students pair up and take each others study set in the Quizlet form of a test. After they are done, students determine which problems they did not solve correctly, and the student who created that problem should explain how to correctly get to the answer. Students are thus learning material both through traditional learning means but also through teaching fellow classmates. Science: Have students create a study set on the topic being studied. For each term or topic, require that students find an image or gif that relates to the topic and helps them remember it as a memory hook. While studying that set in the “learn” or “test” mode (which tracks incorrect responses), require the student to choose a new image or memory hook if they get the answer incorrect more than once. English/Language Arts: Create a study set of vocabulary words. Have students utilize the quizlet text-to-speech function to learn proper pronunciation of the words. Then have students utilize the “Spell” study mode, forcing students to type in responses that must be spelled correctly. Instead of then assessing students learning in a traditional vocabulary test, test them using an in-class spelling bee! Other: Have students find a study set (from the millions of user-created flash card sets) relating to a topic in the class and assess that study set for accuracy. If the student finds inaccuracies, have the student explain how they would correct each card to make it accurate. This infographic was created by Gabrielle R. Merchant using Adobe Illustrator. To browse user-generated study sets, click search, and type in a topic. You can only use user-generated sets without sign-up, so you cannot create your own content. You may use your existing Facebook or Google account to sign up, or just sign up with an email address. Click “Create” to make your first study set. Below the title, there are blank spaces for terms and definitions. Input information in for each pair. You can choose your language here. If you want your definition to be an image (say, a picture pointing to the parietal lobe of the brain), click the image icon and search available images (included in free version) or upload your own (premium version only). Once you are finished inputting terms and corresponding definitions in, click create. “Quizlet: Create a new study set” [Screenshot]. You can now use your study set in any of Quizlet’s modes. These modes are listed as tabs horizontally across the top of the screen: Flashcards, Learn, Spell, and Test are the Learn modes. Match and Gravity are Game modes. Choose any mode to begin studying you set! Learn more about the modes in the infographic below. Vargas, J. M. (2011). Modern learning: Quizlet in the social studies classroom (Doctoral dissertation, Wichita State University). Green, T., & Bailey, B. (2010). Digital flashcard tools. TechTrends, 54(4), 16-17.